Net attributable profit fell to 727.9 million dirhams ($198.2 million) for the three months to Dec. 31 from 734.6 million a year earlier, Reuters calculated from Aldar’s annual earnings statement. That beat a forecast by analysts at SICO Bahrain of 496.0 million dirhams but fell short of a forecast of 849.0 million dirhams from analysts at EFG Hermes. The results come against a backdrop of a slowing economy and property market in the oil-rich capital of the United Arab Emirates. While supply remains under control, consolidation in government, oil and financial services sectors combined with weaker sentiment continues to affect demand, consultants JLL said in January. Average rents in Abu Dhabi have fallen by about 5 percent year on year, due to job losses and cuts in public expenditure. Sales prices of apartments and villas have dropped by 11 percent year on year, JLL said. 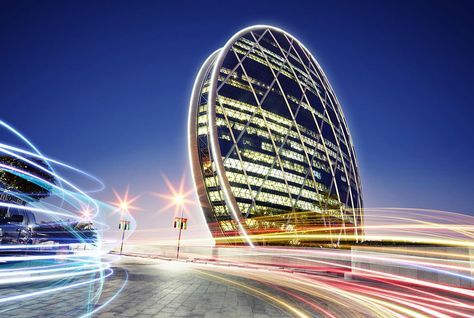 Aldar’s fourth-quarter revenue increased to 1.4 billion dirhams from 1.1 billion dirhams a year earlier. Aldar booked provisions of 100 million dirhams in the fourth quarter of 2016. For the full year, Aldar reported total sales of 3.5 billion. That is likely to fall to 3.0 billion dirhams in 2017 as Aldar focuses on affordable housing, Chief Financial Officer Greg Fewer said on an earnings call. “We are seeing some headwinds in the market right now,” he said. In line with its guidance, Aldar plans to bring around 1500 new units into the Abu Dhabi market in 2017, the same as in 2016, Chief Development Officer Talal al Dhiyebi said on the same call. “We are looking at launching large-scale developments later in the year but our focus in 2017 is tapping into affordable segments where we are seeing strong demand,” he said. The company may also refinance its $750 million sukuk maturing in 2018, Fewer said, without elaborating. Aldar agreed with banks to refinance loans worth 1.8 billion dirhams with longer maturities, Fewer told Reuters in August. Aldar’s board proposed paying a dividend of 11 fils per share for 2016, according to the statement, up from 10 fils per share for the previous year.